in making Delhi a slum-free city. In order to ensure uninterrupted movement of parade along the route and to regulate city traffic, Traffic Police has made elaborate arrangements. Republic Day Parade will begin tomorrow at about 9.50 am from Vijay Chowk for Red Fort Grounds. Other functions relating to Republic Day celebrations will start at 900 hrs. at India Gate. In the wake of the intelligence inputs indicating security threats, the Delhi Police have made elaborate security and traffic arrangements for the year’s Republic Day celebrations, the Beating Retreat ceremony and Martyrs’ Day. As the country comes to a standstill on January 26 on the occasion of the 58th anniversary of the Indian Republic, a rich dose of entertainment awaits those confined to their homes with a series of TV programmes to add spice to their lives. More than 10,000 cycle rickshaw pullers in the city of the Taj will now get free uniforms, regular medical check-ups, garage facility and insurance cover. In the country’s healthcare map, avian influenza is the most disturbing disease, with bird flu cases being reported from many states. The virus H5N1 is one of the 15 subtypes of influenza A. The virus can be transmitted from birds to humans. The internationally acclaimed Gunidas Sangeet Sammelan will be held here on February 1 and 2. The festival will provide an opportunity to the discerning audience to listen to live concerts of maestros of Hindustani classical music, both vocal and instrumental like Pt Jasraj, Pt. Satish Vyas, Jaiteerth Mevundi, Madhavi Mudgal and Alarmel Valli. The Delhi Jal Board will ensure equitable distribution and adequate availability of drinking water before 2010 in the Capital. A meeting of the All India Citizens Committee (AICC) was held at Govind Puri, under the chairmanship of S Raja Singh Sethi, its secretary. The citizens present in the meeting expressed concern over the recent announcement of challaning pedestrians. The cold wave sweeping the Capital since the beginning of this week slightly abated today with the minimum temperature rising to 5.6 ° Celsius. Foreign students from some 18 different countries were conferred degrees on Friday at a Special Convocation organized by Guru Gobind Singh Indraprastha University (GGSIPU). The MSc Biotechnology course offered by Jamia Millia Islamia has ranked among the 20 best programmes offered in the nation, states a survey conducted by Biospectrum for the year 2007. A team led by Ajay Kumar, DCP/Special Cell and comprising inspector Mohan Chand Sharma, sub-inspector Ravinder Tyagi and sub-inspector Dalip Kumar have been awarded with President’s Medal for Gallantry. They killed Mohammad Iqbal, alias Abu Hamza, operational chief of LeT in an encounter. Chief Minister Sheila Dikshit has assured that her government would construct four lakh houses for families belonging to the economically weaker sections of the society. This would go a long way in making Delhi a slum-free city. Besides, it would help in providing basic civic amenities to those, who have been forced to put up in JJ clusters. She said this while addressing a state-level Republic Day celebration. She added that the success of eco-clubs had made the state government decide to set up civic clubs in Delhi schools. This would help students imbibe good habits and civic sense. The Chief Minister reiterated that her government was committed to make Delhi a world-class city. She sought the public co-operation in this regard. 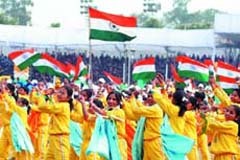 It is a matter of pride that Delhi is hosting the Commonwealth Games 2010. The government is in the process of providing a better, reliable and modern public transport system to the residents of the Capital. A global tender for procuring new buses has been floated. It is expected that over 2,000 more buses would ply on the Capital’s roads in the next six months. Seventy-one Metro feeder routes have been finalised. They would soon become operational. It is expected that the public transport scenario would improve and people would not face any difficulty during the Commonwealth Games. The Delhi government has implemented ‘Laadli’ scheme to overcome the problem of female foeticide. As per the scheme, Rs 5,000 would be deposited in the account of a girl child in a phased manner. She would get Rs 1,00,000 on attaining the age of 18 years. Besides, the city-government has constituted the Delhi Commission for Protection of Child Rights to ensure education and proper child-care to neglected children. It is an effort to protect childhood and overcome the menace of child labour. Dikshit added that there had been a substantial rise in pass percentage in government schools. Over 50 schools in the Capital have achieved 100 per cent result. Free education is being provided to girls in government schools. The government has opened two engineering colleges in rural Delhi to provide an opportunity to those students, who are deprived of higher education. The government has also commissioned super specialty hospitals to provide better healthcare facilities to people. The Rajiv Gandhi Super Specialty Hospital, Tahirpur and Institute of Biliary and Liver Science would provide state-of-art healthcare facilities. 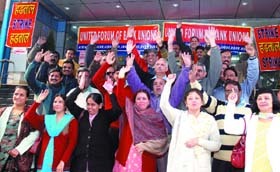 Dikshit expressed her government’s commitment to provide essential commodities to the poor and neglected under its Public Distribution System. Besides, it aims at overcoming the problem of black marketing of PDS wheat and rice. She unfurled the National Flag and took salute of parade. The Delhi Police contingents, Home Guards, Civil Defence, Delhi Fire Services, NCC and schoolchildren participated in the parade. The CM presented Rs 45,000, a medal and citation to Nagendra, a class XII student of Sarojini Nagar School, for bravery. He saved the lives of some people during the blast in Sarojini Nagar Market in 2005. No traffic will be permitted on the route of the Parade from 0400 am till the conclusion of the Parade i.e. 1300 hrs. at Red Fort tomorrow. The cross traffic on route of the Parade will remain closed depending upon the progressive movement of the Parade. Motorists are advised to avoid these roads from morning till 1300 hrs. or they should take alternative available roads. - Motorists are requested to take Ring Road-Ashram Chowk-Sarai Kale Khan-IP flyover and Rajghat. - Lajpat Rai Marg-Mathura Road-Bhairon Road-Ring Road for onward journey. -From Aurobindo Chowk–T/L Safdarjung Road-Kamal Ataturk Marg-Kautilya Marg-Sardar Patel Marg-Mother Teresa Crescent –R/A RML Hospital-Baba Kharak Singh Marg for onward journey. -Motorists coming on Africa Avenue, Vinay Marg or on Shanti Path to take Panchsheel Marg-Simon Bolivar Marg-Upper Ridge Road-	Park Street-Mandir Marg-Rani Jhansi Marg for onward journey. -Prithvi Raj Road-Southend Road-Subhramaniam Bharti Marg and Mathura Road for onward journey. More than 200 companies of the Delhi Police/Para-military/Home Guards force would be involved in the massive security in the Capital. Besides, policemen in districts and other specialized units like Traffic, Special Branch, Special Cell, Crime & Railways are also functioning in full strength. Counter-terrorism measures including special drives have been launched in all the districts to check the possible hideouts of terrorists. An intensive drive for verification of tenants has also been initiated by the Delhi Police. Regular checking of all guest houses, hotels and cyber cafes is being conducted to ensure that the guidelines issued to them are being scrupulously followed. A special helpline No. 1090 has been opened for citizens to receive information on any security threats . On May 8, 2006 following a tip-off, the officers of Special Cell/NDR had apprehended two LeT militants Firoz, alais Abdullah, and Mohammad Ali, who had recently acquired a consignment of explosives sent by Azam Cheema, alias Baba, (LeT operational chief for India) through the Gujarat border. During interrogation, the militants disclosed that they had to deliver the recovered consignment to their Pak national associate namely Mohd Iqbal, alias Abu Hamza, resident of Bahawalpur, Pakistan. They had to meet Abu Hamza near main gate, Jawaharlal Nehru stadium, Delhi, at about 9 pm wherein he would come there in a white Santro car bearing No. 4457. Immediately, a team led by Ajay Kumar, DCP/Spl Cell was deployed. At about 9.15 pm, one white Santro car came from CGO complex side and stopped near the roundabout, closed to the main gate of stadium. The arrested accused identified him as his associate Mohd Iqbal, alias Abu Hamza. Immediately the team was alerted and the desperado Abu Hamza was warned to surrender before the police party. On this, Abu Hamza, immediately whipped out firearm and ran towards the pump house, firing indiscriminately towards the police party. DCP/Ajay Kumar, inspector Mohan Chand Sharma, sub-inspector Ravinder Tyagi, sub-inspector Dalip Kumar had their position at vulnerable point. They warned the militant to surrender but the militant did not care and immediately moved around and fired at the team. The Special Team fired back and after long exchange of fire for over 20 minutes, the firing from the militant stopped. The advanced party then approached towards the Pak militant who was found lying injured. During personal search of the slain militant at AIIMS hospital, a document having address of Rajesh 441/9, Jagdish Colony, Ballabhgarh, Haryana, was recovered. A team immediately rushed to Ballabgarh and traced the address with the help of local police. The team of Special Cell with the help of Haryana Police conducted raid in the above house at Ballabgarh and recovered 2 AK-56 rifles, 6 magazines and 180 live cartridges, 10 hand-grenades, 5-kilograms of PETN explosive, 3 litres of nitric acid, 1 litre- glycerine, 3 kgs of urea, one Thuraya Satellite phone and one computer set from rented house. The slain militant Mohd Iqbal, alias Abu Hamza, was found involved in many terrorist activities in J&K and other parts of India. He had made his base in Ballabgarh, Haryana, to do a chain of activities in other parts of India including Delhi and NCR. Lending an element of fun and entertainment to TV viewing on the Republic Day will be ‘King Khan’ Shah Rukh who, along with former Miss World Priyanka Chopra and former Miss Asia Pacific Diya Mirza and the ‘’much-in-news’’ Rakhi Sawant, will enthrall the audience with their performance at a concert to celebrate the spirit of youth. Lined up for telecast on Bindass, India’s first youth channel, on January 26, will be the Airtel Bindass India Concert, which will have King Khan performing to chartbusters like – “Main hoon don”, “Aankhon mein teri” and “Pretty woman,” to name a few. Joining him at the three-hour concert, organised by Cine Yug to celebrate the power of youth, will be the charming Priyanka Chopra, who will dance to popular numbers like – “Aaj ki raat” from ‘Don’. The concert, to be telecast from 1900 hours, will also have the much in news Rakhi Sawant setting the stage ablaze with “Beedi” from ‘omkara’, Dino Morea showing a jhalak of his moves on “Jhalak dikhalaja”, Kunal Ganjawala humming on foot-tapping and soul-stirring tunes along with performances by Mauli Dave and Niti Mohan choreographed by Ganesh Hegde. Tickling the funny bone of the viewers will be the famous TV artiste Sajid Khan. These are part of the new eco-initiative launched by Agra municipal commissioner Shyam Singh Yadav to promote environment-friendly vehicles in the city. “The humble rickshaw pullers have been the most neglected lot though they make such an important contribution helping inner city commuters,” Yadav, who is also the national shooting coach, told IANS. The unique initiative is being supported by an NGO, which will raise funds by selling advertising spots on the rickshaws. Under the build-and-operate sort of arrangement, the promoters will help the city municipality generate extra revenue. The municipality, in turn, will spend that money in providing four sets of uniforms to rickshaw pullers every year, besides paying insurance premiums. Pullers who hold licences are being insured for Rs 50,000 for accidents and Rs 100,000 in case of death.Now, rickshaw-owners will not have to pay any licence fee either. The city has around 10,000 licensed rickshaws and an equal number of unlicensed ones. Toilet facilities are also to be made at rickshaw parking areas. Talking to IANS, deputy municipal commissioner Qasim Raza said tenders for selecting NGOs would be floated soon. “We hope we will be able to launch the scheme before March 2008. As per our estimate, at least 20,000 rickshaw pullers will be benefited,” he said. Since hoardings and banners are not permitted around the historical buildings dotting this city and no motor vehicle can ply within 500 metres, the newly designed and comfortable rickshaws will provide an excellent advertising medium, Raza pointed out. Normally, avian influenza does not infect species other than birds and pigs. The virus was first reported in humans in Hong Kong in 1997, when the H5N1 strain caused severe respiratory disease in 18 persons of whom 6 died. Later, it was learnt that close contact with live infected poultry was the source of human infection. Studies at the genetic level further revealed that the virus had transferred directly from birds to humans. According to experts, several measures can help minimise the global public health risks that could arise from large outbreaks of highly pathogenic H5N1 avian influenza. These include vaccination of high-risk persons, who are exposed to infected poultry. Workers involved in culling of poultry flocks must use proper clothing and equipment to protect themselves from the infection. They should also receive anti-viral drugs as a prophylactic measure. The WHO recommends the targeted administration of the seasonal influenza vaccine to selected groups at increased risk of exposure to the H5N1 virus. Targeted vaccination is one of the measures to reduce the occurrence of such infections in humans. The WHO also indicates that reduced opportunities for dual infections decrease opportunities for re-assortment and for the eventual emergence of the influenza virus with pandemic potential. “Dual infection in humans is serious. Workers involved in the culling process or anyone exposed to the infected environment should be vaccinated against seasonal influenza, to avoid dual infection. In case, the two strains combine within the human body, it can give rise to a new strain that will eventually develop into a pandemic,” says Dr Randeep Guleria, senior consultant, department of medicine, AIIMS. The Sammelan, presented by Citi for the 17th consecutive year, will be held at Kamani Auditorium. The Gunidas Sangeet Sammelan was first presented in 1977 in Mumbai by the legendary Hindustani classical vocalist, the late Pt. C R Vyas, in memory of the famed classical music doyen of the Agra Gharana, the late Pt. Jagganathbuwa Purohit under the aegis of Maharashtra Lalit Kala Nidhi (MLKN). Over the years, this prestigious annual festival held across four cities—Mumbai, Kolkata, New Delhi and Chennai has become an important event for connoisseurs of Indian classical music. Featuring some of the finest ever live performances by maestros of Indian classical music, the Sammelan has established a rich legacy of 31 years. Shiela Dikshit said this after laying the foundation stone of 14.1 million litre capacity underground reservoir (UGR) and booster pumping station at Sarai Kale Khan on Thursday. The project would overcome the scarcity of drinking water of 1.60 lakh people in Kilokri, Siddharth Enclave, Bhagwan Das Nagar, Hari Nagar Ashram, Sunlight Colony, Siddharth Extension, part of Lodhi Colony, JLN Stadium under Jangpura constituency Sarai Kale Khan, Nangli Razapur, Nizamuddin, Jungpura B, Sunder Nagar, Pragati Maidan, JJ cluster in Sunder Nagar, Bhagat Ram Camp, Tara Chand Camp and Sanjay Amar Colony under the Minto Road assembly constituency. The construction of the UGR is estimated at Rs.30 crores and it will become functional by March 2009. The UGR, being constructed by M/s Larsen and Turbo, would be fed by treated supply from the Sonia Vihar Plant which is presently more or less functional up to its full capacity. It said that pedestrians should observe traffic rules but challaning them before providing overhead and underground bridges for crossing the roads and proper means of transport amount to harassing the poor. Footpaths remain occupied by illegal hawkers, shopkeepers and parking in connivance with local police. The amount of tehbazari charged is not reaching the government revenue department. The recent decision to allow rickshaw pullers in 12 zones was lauded but only Delhi Citizens Rickshaw Pullers should be issued cards to ply rickshaws in these zones, the meeting observed. No hawking should be allowed on footpaths. A committee to investigate ration cards issued to people below poverty line should be appointed as the poor are not getting cheap ration. According to the Met office, even though cold northwesterly winds continued to sweep the Capital, a cloud cover over the skyline led to the rise in the minimum temperature, from 2.4 ° Celsius yesterday, to 5.6 ° C, two degrees below normal. Visibility levels, however, remained normal today. The Met office said that the minimum temperature was likely to rise further and touch seven degrees in the next few days. It has also forecast a partly cloudy sky for the Republic Day tomorrow. This included some 29 students from different nationalities like Lebanon, Namibia, Guyana, Sri Lanka, Laos, Ghana, Kenya, Mauritius, Uganda, Vietnam, Ethiopia, Bhutan and Dominica, among others. They were felicitated for successfully completing the Master’s in Human Resource Planning and Development (MHRPD) programme, offered by the Institute of Applied Manpower Research at Narela in affiliation with GGSIPU. The Special Convocation was presided over by the Lt. Governor of NCT, Delhi and Chancellor of GGSIPU, Tejendra Khanna. Others included Prof. K. K. Aggarwal, vice-chancellor, GGSIPU, V.K. Jain, registrar, GGSIPU, and Prof. Ajeet Narain Mathur, director, IAMR. While delivering the convocation address, Khanna urged the students to strive towards excellence. He said, “To achieve excellence one needs high ethical integrity along with domain competence and not to forget hard work.” Khanna also applauded the university for achieving an ‘A grade award’ from the National Assessment and Accreditation Council. The ‘University’s Gold Medal and Certificate of Merit’ was conferred on Fakeeroodeen Khan Yarroo from Mauritius, who also received the ‘Institute’s President’s Medal and Certificate’. The ‘Director’s Medal and Certificate of Merit’ was bestowed on Anoja Priyadarshani Guruge from Sri Lanka. As per the survey, the programme ranks 12th this year. Last year, it had stood on the 19th position. Jamia’s placement record is even better. As far as the placement of students is concerned, the university figures in the list of top ten biotech institutes. It ranks seventh and eighth according to the faculty and the placement scores.